Santa Barbara has several types of termites. The most common found in homes are Drywood Termites and Subterranean Termites. 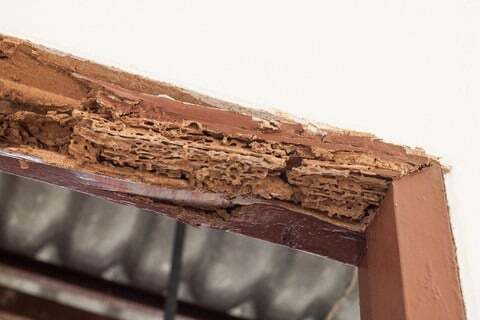 Drywood Termites live entirely inside the wood and are rarely seen. 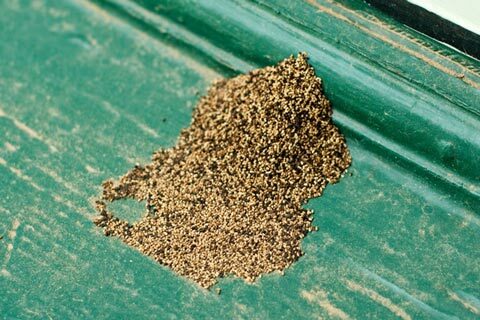 The most obvious sign of infestation is granular droppings that look and feel similar to sand. Subterranean Termites have colonies below the ground. They make mud-tubes that extend from the soil to the wood in your home. Both of these termites can swarm. An inspection should be performed if swarming is found within the house. 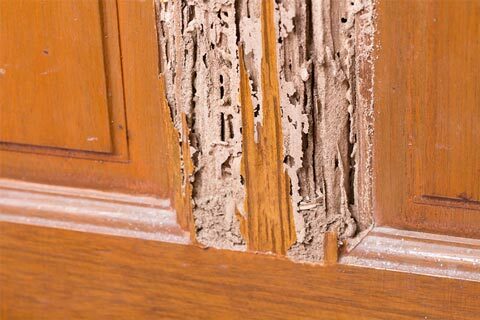 On our full inspections we look for dry wood and subterranean termites, dry rot, and any conditions that could lead to problems. Below are some of the signs to look for when identifying termite infestation. Subterranean termites will enter a home through mud tubes that extend over the foundation. These can be located in the subarea or on the exterior. Feeding tunnels will either have frass packed into the tunnel or frass “kicked out” of the tunnel creating small piles. These piles look like tiny piles of sand. 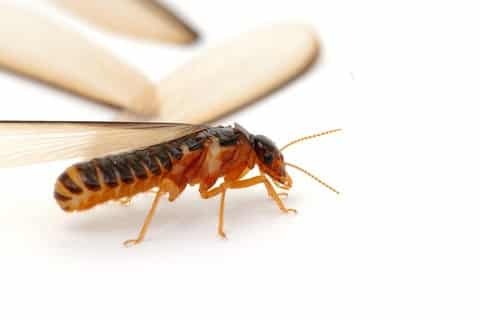 Drywood Termite Swarmers have dark bodies with red heads and are about 1/2 inch long. They swarm on hot days, typically in late August and September, and are looking for exposed wood to start a new colony in. Swarmers head toward light, such as doors and windows, and will drop their wings after landing. 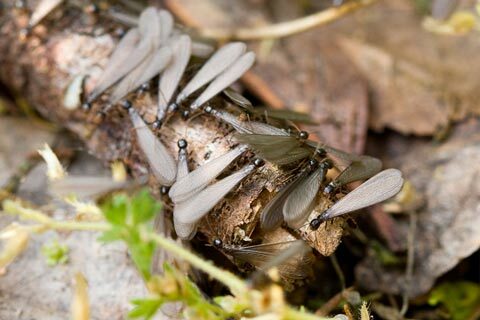 Subterranean Termite Swarmers have all black bodies and are about 1/4 inch long. They swarm on sunny days after it has rained, and are looking for wood that is in soil. When swarming inside they will head toward light, and drop their wings after landing. 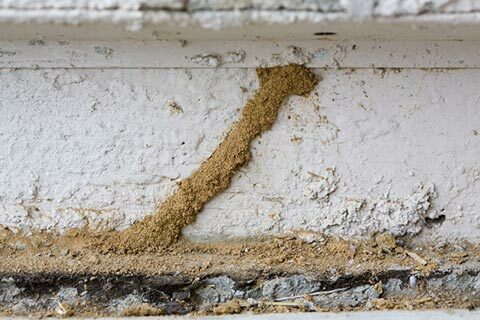 Termite damage typically starts on the exterior of the home. Wood at the eaves, doors, and windows are common spots for activity. Damaged wood may split or crack easily when touched. Dryrot damage is caused by fungus. The more moisture that the fungus gets, the faster it damages the wood. The moisture in the air is enough to keep the fungus alive, slowly working. Damaged wood will look shrunken and wrinkled, and is normally soft to the touch. If You Think You Have Termites: the first step is to have an inspection. Full Inspections: we inspect the interior, attic areas, subarea, and exterior. On Full Inspections We Look For: dry wood and subterranean termites, dry rot, and any conditions that could lead to problems & note areas that are inaccessible. Reports: We provide a written report that has a diagram of the house along with our corresponding findings and recommendations. 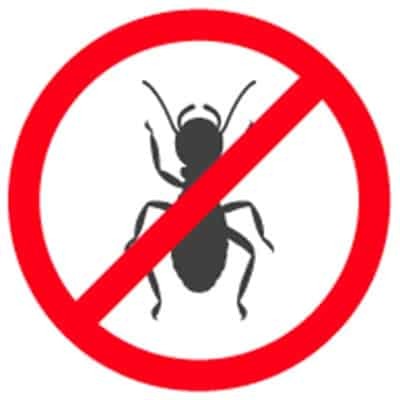 Limited inspections can be performed to areas that have infestations. Depending on the extent and location of the infestation, we may be able to locally treat at the time. We offer complete termite reports for escrow, these reports meet the requirements for loans or second mortgages. Fumigation: This is the best method as it is a whole structure treatment. It takes 3 days and requires some preparation. The price is based on the cubic footage of the structure which determines how much gas is used. 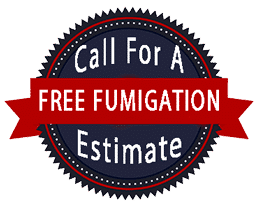 For more information, please check our Fumigation Page. Heat Treatment: Large propane heaters are used to duct heat to the infested areas. This is a non-chemical treatment, but some preparation is require if the building has a sprinkler system. Most treatments take around 6 hours to complete. Localized Treatment: Chemical is injected into the wood under pressure and travels through the galleries the termites have made. This is typically the quickest and least expensive treatment. Localized treatment is only effective in areas that can be physically reached. If the infestation extends beyond the treated area, it may not be exterminated. Raised Foundation: In a raised foundation, the soil below the house can be treated. We also break all mud tubes that the termites create. Concrete Slab Foundation: On a concrete slab foundation, we will drill 1/2″ holes through the concrete, inject chemical into the soil below, and then fill and seal the holes. In both cases the termites bring the chemical back to the colony, spreading it between each other, and eventually eliminating the whole colony. 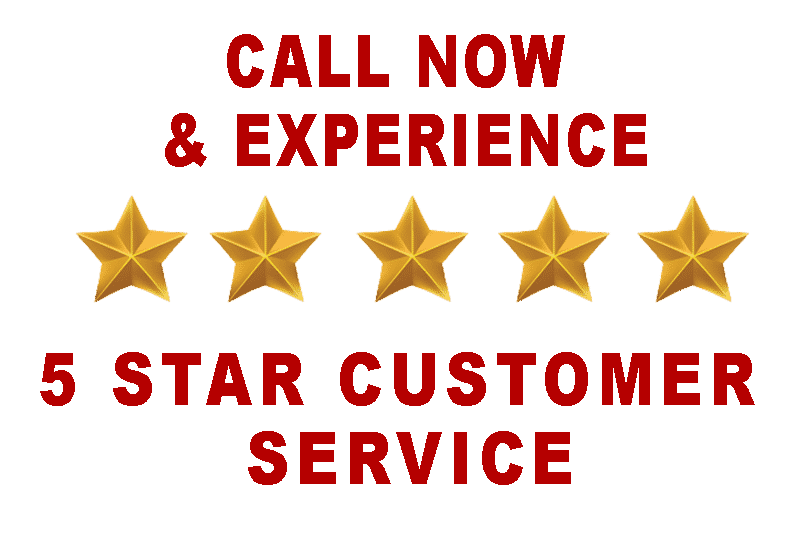 We Provide Restoration of Damaged Areas: Our carpenters all have 10+ years of experience & are experts at repairing termite and dry rot damage. Damage Report Provided: Inspections that find wood damage will be noted on the report, we will also provide a repair & restoration estimate on the same report. 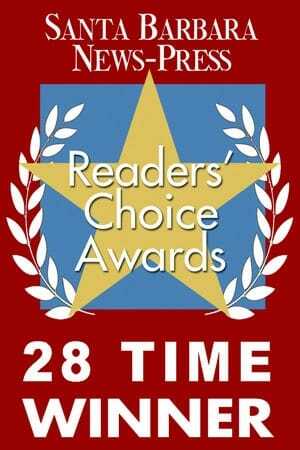 We are the the #1 company for Termite Inspection Santa Barbara CA, Get help today (805) 962-9151. Resources on Termite Inspection Santa Barbara CA.